CLOSEOUTS. 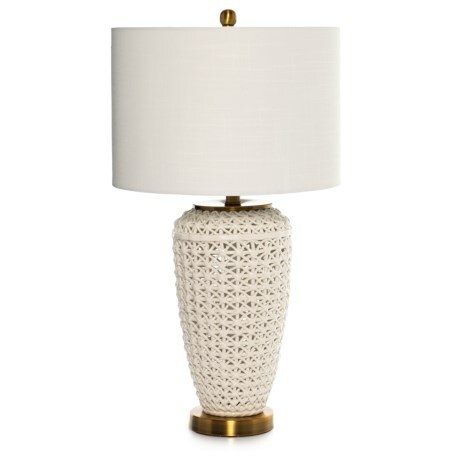 Illuminate your room or work space with Tridentand#39;s ceramic open weave table lamp. Available Colors: CREAM.